Pain, burning, tingling and aching are some of the ways we describe different sensations that we experience. However, these conventional terms do not always describe every type of sensation. At times the sensation that we are feeling does not fit into one of these terms. A hollow feeling in the pit of the stomach which is also sometimes described as a pit sensation may be some of the other unconventional terms that are used. There is no typical way to describe a hollow pit feeling in the stomach. Sometimes it may be an ache while at other times it may be an unexplained discomfort in the stomach. A similar unconventional term that may be used is “butterflies in the stomach” although there are no actual winged insects in the organ. All of these terms point to the fact that the sensation is not as overt as pain. Many people associate a hollow stomach feeling with hunger. While hunger pangs may present with a similar sensation, it is important to differentiate between hunger and stomach symptoms. If the sensation persists after eating, then it is unlikely to be hunger. The gastric acid and stomach enzymes increase after eating and tends to aggravate the symptoms of most stomach conditions. While a hollow pit sensation may not seem like a serious symptom, it should still be investigated by a medical professional if it persists for long periods or intensifies. Sometimes this non-specific sensation can be linked to serious conditions, like stomach cancer. It is therefore important to take note of any other accompanying symptoms and seek medical advice as soon as possible. Read more on empty stomach. A hollow pit feeling in the stomach is non-specific. 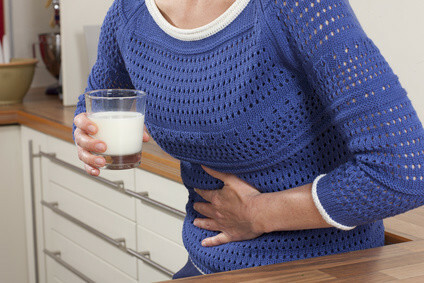 This means that it may occur in a host of different stomach conditions and may also occur for other reasons where there is no disease or abnormality in the stomach. The accompanying symptoms alone may not be sufficient for an accurate diagnosis of the hollow stomach feeling. Therefore it is necessary to consult with a medical professional and undergo the necessary diagnostic investigations to isolate the exact cause. 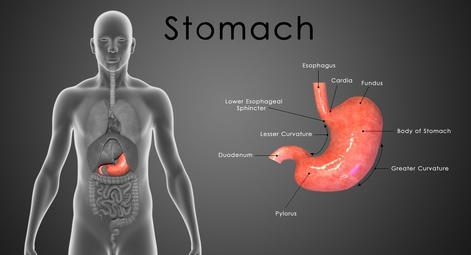 Some of the more common causes have been discussed below however it is important to note that a hollow pit stomach feeling is vague and may occur in a host of other stomach conditions. Indigestion is a general discomfort perceived in the upper abdomen and usually attributed to the stomach. This includes a bloated sensation, burning sensation or ache in the stomach and nausea. These symptoms are usually accompanied by a loss of appetite. Indigestion is usually not due to any disease and the sensation that occur may vary. Sometimes it may be described as a hollow feeling in the stomach. The walls of the stomach may become injured and inflamed. This is known as gastritis. It is a common stomach condition which typically presents with a burning or gnawing ache in the stomach, nausea, sometimes vomiting and changes in appetite. However, it sometimes does not present with these typical symptoms. It can sometimes feel like hollow sensation in the stomach. There are wide range of different causes of gastritis. The two most common causes of gastritis are the excessive use of NSAIDs and H.pylori infection of the stomach. Open sores can form in the stomach or the duodenum (first part of the small intestine that follows from the stomach) and this is collectively known as peptic ulcers. These sores usually cause intense upper abdominal pain, nausea, changes in appetite and sometimes vomiting. There may also be blood in the vomit as a result of bleeding ulcers. Most cases of peptic ulcers are symptomatic but it can sometimes be silent or present with unusual sensations. Peptic ulcer disease is usually caused by the same conditions as gastritis. This includes H.pylori infection and the excessive use of NSAIDs. However, it is more likely to occur in certain people like cigarette smokers, with excessive consumption of alcohol and psychological stress. Anxiety or nervousness may cause a host of digestive symptoms like abdominal pain ir even diarrhea. A hollow feeling in the stomach and “butterflies” in the stomach are some of the other digestive symptoms that are reported in anxiety. While there may be no disease or disturbance in the stomach despite this sensation, anxiety can aggravate pre-existing stomach diseases like gastritis and peptic ulcer disease. It is not uncommon to experience anxiety in stressful situations but sometimes episodes of anxiety may occur without any immediate trigger. This is known as an an anxiety disorder and may be associated with other mental health conditions like depression or post traumatic stress disorder (PTSD). Antacids to neutralize the stomach acid. Proton pump inhbitors (PPIs) and H2-blockers to reduce stomach acid production. Prokinetic agents to hasten gastric emptying. Antibiotics to eradicate Helicobacter pylori bacteria. Depending on the underlying cause, surgery may sometimes be required. Read more on stomach acid medication. Dietary and lifestyle modification can be effective for several causes of a hollowing stomach sensation. However, this does not mean that medical treatment is not required. Dietary and lifestyle changes should be made in conjunction with drug therapy or even surgery. Avoid irritant foods and beverages, such as spicy and greasy foods, alcohol and caffeinated drinks. Eat several small meals in a day rather than opting for a few large meals. Avoid overeating. Do not lie flat or sleep after meals. Mild physical activity like a short walk can be helpful. Choose freshly prepared meals that is abundant in fresh fruits and vegetables. Minimize processed foods. Ensure sufficient fluid consumption during or after meals as it aids with digestion. Water is the better choice of beverage. Last updated on September 22, 2018.